DONEY DRIBBLE: LONG WEEKEND CYBERCROP!! A place for me to occasionally and randomly share my scrapbooking creations and sometimes my family life. 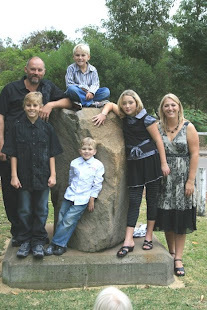 I am a mum to 4 (mostly) gorgeous kids aged 10, 14, 16 and 17. I have been married to Phil for 19 years. I started scrapping while pregnant with Riley (now 10), after years of avoiding "another craft". Now I have so many years of photos to catch up! lol! I don't get to scrap as much as I'd like, life is too busy. But if I can manage a few lo's a week I am happy. Lots of Layouts to share! June is here so new lo's to show!